The three co-chairs are: John Filan, a former member of the Chicago Board of Education and special budget consultant to the Illinois House and Senate; Ralph Muller, past president and CEO of the University of Chicago Hospitals, and Sharon Gilliam, a past city budget director and chief of staff to former Chicago Mayor Eugene Sawyer. Blagojevich said the advisory board will spend his transition period examining the state’s current fiscal situation and identifying the “most urgent” budget challenges. The governor-elect reiterated his pledge not to raise taxes of any kind, including proposed service taxes or a “tax swap” that would lower property taxes but raise the income tax. Instead, Blagojevich stressed his team should look at “creative” ways to raise revenue and ways to cut spending while minimizing the impact on services. The 28-member board includes the three co-chairs, eight ex-officio members and 17 regular board members. Those 17 include: Edward Bedore, former chief financial officer for Chicago and city budget director; Garrett Deakin, executive assistant for government relations at Southern Illinois University; and Paula Wolff, director of policy and planning for former Gov. Jim Thompson and transition team leader for former Gov. Jim Edgar. Blagojevich said he would not comment on the specific size of the state budget deficit until his team had more time to examine the issue. The state made major spending cuts under Gov. George Ryan last year, and estimates for the next fiscal year project deficits of more than $2 billion. 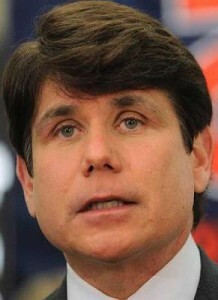 Blagojevich said he looks forward to working with House Speaker Michael Madigan and incoming Senate President Emil Jones. He flatly denied a published report that he might consider ousting Madigan as chairman of the state Democratic Party and replacing him with a person of his own choosing. The governor-elect said the budget team will look at all state revenues, expenditures and debt management before he takes office, and he will keep the public updated on the group’s progress.